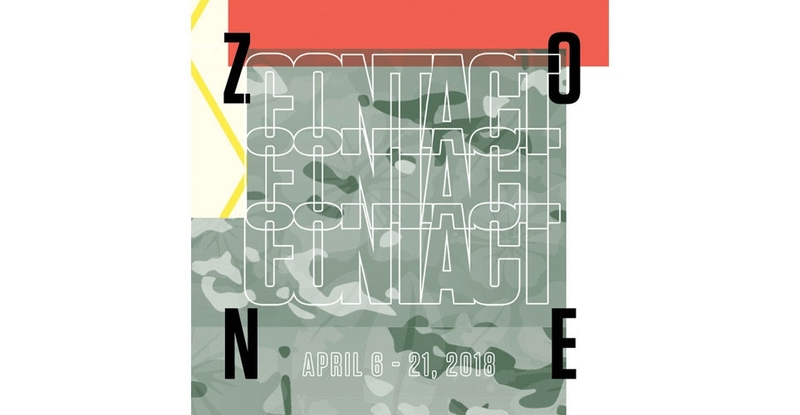 Contact Zone is the fifth installment of Contact, an annual exhibition of contemporary art made in Hawai‘i organized by the Maoli Arts Alliance (MA’A), an initiative of Pu’uhonua Society, Na Mea Hawaii and ii gallery. This year the exhibition expands its reach to include additional exhibition venues in Waikīkī, Kaka‘ako, and Kalihi. The exhibition and its accompanying public programming are free to the public. "Contact Zone offers a comprehensive survey of contemporary art in Hawai‘i, with a critical focus on what it means to live, coexist, and be from and transplant to Hawai‘i,” says Josh Tengan, Contact exhibition manager. The exhibition features artwork that explores the notion of "contact zones," or spaces of cultural exchange and mitigation in Hawai‘i. Over the years, the partially juried format of the show has supported and offered emerging local artists an exhibition pathway. An exciting addition to Contact are site-specific art installations in Waikīkī, which is itself a significant contact zone. Installations include a sand sculpture by artists Jill Harris and Thomas Koet in the Sheraton Waikiki Hotel lobby, artwork by Paradise Cove and Jan Becket in the Saks Fifth Avenue window and store, and a new photography series by Taiji Terasaki at T Galleria by DFS, Hawai‘i. Contact's public programs include talks, screenings, and school tours. See the schedule. Contact Zone is made possible by funding and support from the Atherton Family Foundation, Bishop Museum, The Charles Engelhard Foundation, City and County of Honolulu, Dawson, Hawai‘i Tourism Authority, Mayor’s Office of Culture and the Arts, Nā Mea Hawai‘i, Saks Fifth Avenue, Shaka Tea, Sheraton Waikiki, and T Galleria by DFS Hawai‘i.